After an 8-year absence, Nancy Guth returned to the National 24-Hour Challenge this year, breaking the record for women aged 65-69. 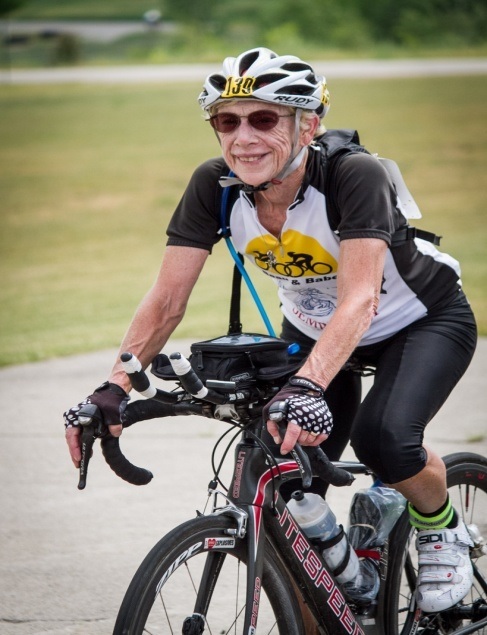 Nancy put up 324.3 miles, but that’s not the half of it: due to foul weather, the event was shortened by over four hours, meaning that Nancy set the new record with only 20 hours available for riding! Nancy and John mostly ride together, and their riding style is simple: 15 mi/hr forever. Nothing fancy, just keep on truckin’. Congratulations to Nancy on her amazing show!